Are you looking to stock up on supplements? Visit Whole Foods this weekend and save on supplements. Whole Body protein powders, multi-vitamins, probiotics, flax seeds and more will be 25% off regular price at all Florida locations. If you have a Whole Foods Benefits membership card, you will save an additional 20%. In the Tampa area, if you mention that you heard about the sale from my blog, they will also have a special gift for you at checkout! I am looking forward to trying a few items myself…. 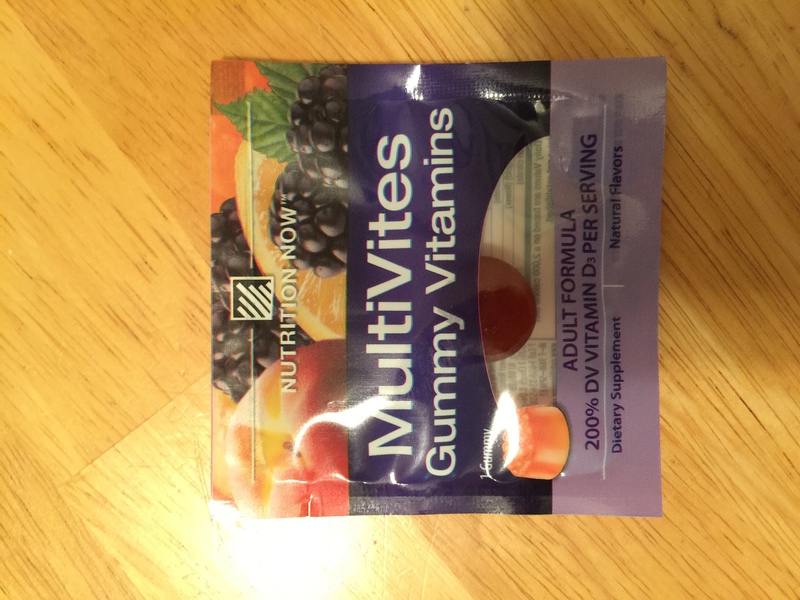 I am always looking for a multi-vitamin that doesn’t upset my stomach. 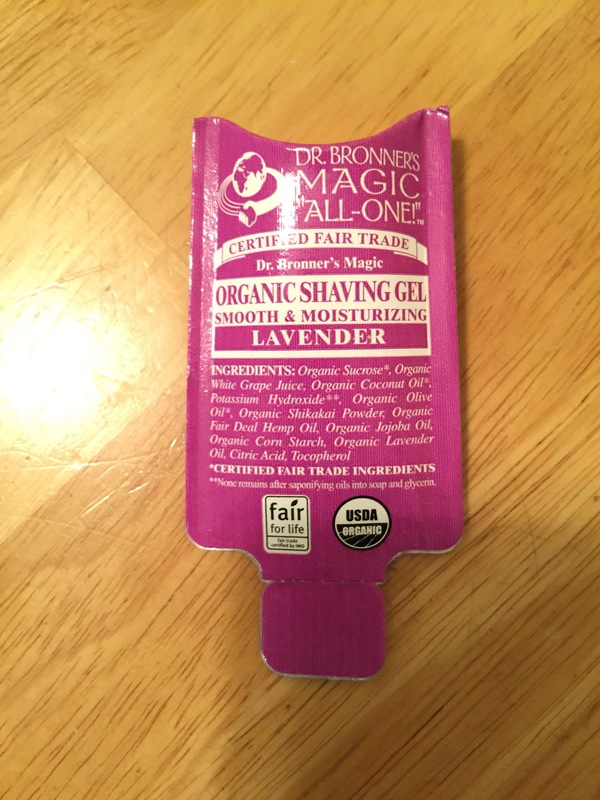 Also, this organic shaving gel may be the answer to the dry skin on my legs. 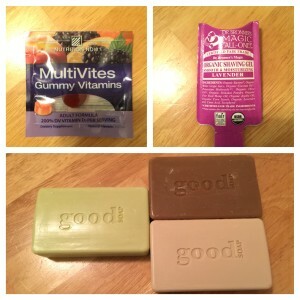 And lastly, how pretty are these soaps? They are lavender, vanilla, and unscented. If you haven’t been to the Clearwater store yet at Countryside Mall, it is a beautiful store. So many delicious foods, fresh seafood and meats, a large selection of beer and wine, health and beauty needs, and an amazing prepared food section. 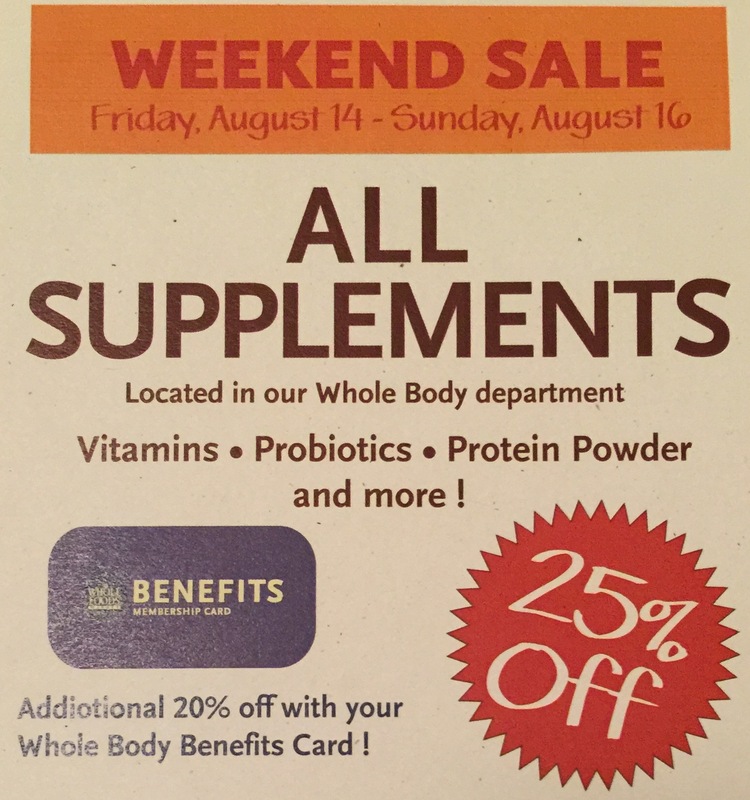 If you stop in this weekend for the supplements sale, take a few minutes to walk throughout the store. I received health and beauty samples from Whole Foods Market in exchange for writing a review on my blog. Fitness, Fashion, Football and a giveaway!